This first set of matches separated the good from the great. We saw a lot of 2-0 shutouts in this round, but the losing teams had an opportunity to fight their way back through the brackets for a spot in the finals. Except for Team Mortality, who had to forfeit their matches last-minute. Most of the games that happened on Day 1 weren’t broadcast on MLG’s live stream of the tournament, but what games we did see were relatively unremarkable. Hel and Janus bans abounded, and the winning teams tended to take early leads that snowballed into landslide victories. It also became very clear on Day 1 that we’d be seeing a much different meta in this tournament than we’re used to seeing in the PC version of the game. 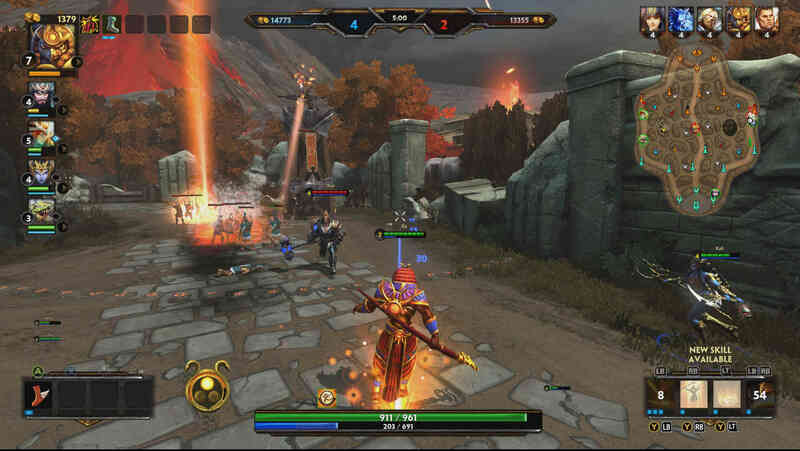 Because of the different control scheme for Xbox, some gods simply don’t play as well as they do on PC, while others dominate harder than their PC counterparts ever could. Bellona, for example, became a much more viable pick because of how well she handled on Xbox One. The different meta definitely led to some interesting picks and matchups throughout the tournament, and it was refreshing to see some new faces getting lots of play time. We continued to see lots of bans on Hel and Janus, and Xbalanque got the banhammer several times as well. 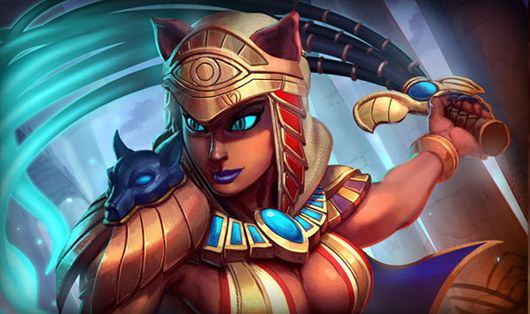 Meanwhile, champions like Bastet, Sun Wukong, and Bellona got lots of play time. The Aware v. Epsilon match-up proved to be an entertaining set. In Game 1, we saw a lot of careless mistakes on both sides, which prompted to commentators to wonder whether the teams had spent too much time on Bourbon Street the night before. Eventually, both teams worked all the kinks out, and Epsilon took the first game, thanks to player Sealcar dominating on Sobek. Aware didn’t take kindly to this loss, and they grabbed and held a lead in Game 2 that became a landslide win, with 28-3 kills in Aware’s favor. The tiebreaking third game was a back-and-forth dance between the teams until Aware snuck a Fire Giant kill after a chaotic team fight that gave them just enough of a boost to push into Epsilon territory and bring down the Titan for their second win. MLG also broadcasted the match between VexX and Onslaught, which proved to be quite the spectacle. There have perhaps never been 2 teams more evenly matched. This led to some really long, drawn-out games. In Game 1, we saw several sloppy team fights as both sides struggled to land confirmed kills. After a lot of back-and-forth and some timid extended encounters, VexX eventually nabbed the first win. Game 2 was lengthy and mostly unremarkable, with Onslaught narrowly gaining the upper hand and taking the game. The tiebreaking game was where things really got interesting. It took nearly an hour for these teams to battle it out, which is nearly unheard of in SMITE games. At 30 minutes in, both teams only had 5 kills under their belts. The commentators were at such a loss that they could only sit and chat about anime girls while the two teams kited around each other. Onslaught tried to push VexX a little harder this time around, but VexX wasn’t going down so easy. They barreled across the map and could have finished the game, but backed out at the last second when it came to a really intense team fight. While VexX and Onslaught battled it out at VexX’s Titan, Onslaught’s Bastet snuck into VexX territory to solo their Titan. Commentators were utterly shocked by the turns this game was taking and the seeming lack of coordination among players, prompting them to repeatedly wonder what the hell these two teams were doing. Onslaught eventually pulled through and took the victory, landing them a spot in the quarter-finals. When it was all said and done, these 8 teams were moving on to Day 3: Eager, Release, Aware, XGN, Elevate, Onslaught, Juice, and Epsilon. The Eager vs. Release match was relatively unremarkable, though Eager did shock commentators in Game 1 by making a comeback from a 10,000 gold deficit. Release tried to gain some leverage with a strong win in Game 2, but they eventually fell to Eager in Game 3, and Eager moved on to the semi-finals. MLG didn’t broadcast the XGN vs. Aware or eLevate vs. Onslaught matches, but Aware and eLevate knocked out their opponents to take their places in the semi-final round. The last quarter-final game, Juice vs. Epsilon, saw just a few upsets. Juice dominated in Game 1, pushing lanes hard and fast in the late game and refusing to give Epsilon a breather. They wiped out all of Epsilon’s team during an extended encounter, which cleared the way for them to take the Titan and the first win. Epsilon had an initial lead in Game 2, but it was quickly interrupted by technical difficulties. A power outage forced the teams to restart the game with the same picks. Epsilon made a comeback in this match that took them to Game 3, where they grabbed and held an early lead that propelled them to a second win and a spot in the semi-finals. The Eager vs. Aware game was a complete shutout, thanks to some intense play and solid strategy from Eager. They grabbed a 10k gold lead after an extended engagement that left Aware crippled, then used that edge to make the final push to Aware’s Titan and end Game 1. In Game 2, Aware completely switched up their picks in order to grab some of the gods that Eager had wrecked them with in Game 1, like Nu Wa and Medusa. But despite this, Eager made some strong early picks that put Aware in a tight spot – their team consisted of Athena, Xbalanque, Bastet, Osiris, and Agni. This was one of the few times we saw Osiris or Agni in play. Eager’s picks proved to be too much for Aware, who barely made it out of single-digit kill counts. Eager dominated throughout Game 2 and took a relatively quick win, advancing to the final game. Epsilon and eLevate squared off next. During the initial pick phase, both teams fell back onto their go-to gods while they felt out each others’ strategies. In Game 1, eLevate grabbed Medusa, Bellona, and Ymir. Epsilon took powerhouses Athena and Rama, inexplicably omitting Sobek in spite of his usefulness throughout the tournament. eLevate took an early lead, but quickly got too comfortable and let their guard down. Epsilon seized the opportunity to come from behind and win the game. In Game 2, eLevate stuck with Bellona and Medusa while switching up the rest of the team. Epsilon opted to ditch their faithful Athena and put Sobek back out on the field. Elevate took first blood and an early lead that only increased as the game went on. A bloody team fight resulted in 4 kills for eLevate and an 11k gold lead, which pretty much sealed their victory. Though Epsilon tried to switch up their tactics for Game 3, it was too little too late. eLevate pushed hard for the win and earned themselves the second spot in the final game. After three long days and lots of matches, the MLG Pro League Qualifiers came down to a Best of 5 match between eLevate and Eager. These teams proved to be worthy opponents for each other in an exciting final round. Game 1 was a close one, with both teams pushing hard right out of the gate. Team fights and extended encounters happened early and often. However, eLevate took a slight advantage in these scuffles and grabbed just a few more objectives than Eager, which landed them the win. The kill count sat at 19-18, favor of eLevate, when the Titan came down. Eager came back with a vengeance in Game 2, though technical difficulties interrupted the game and temporarily cut the broadcast. Once they got those issues sorted out, Eager dominated the second round, taking the victory 44 minutes in with a 24-27 kill count in their favor. In Game 3, things really started to heat up. Eager banned out some of eLevate’s go-to picks, like Athena and Sun Wukong, while eLevate took the cautious route and banned Hel and Janus, who had been a serious threat for teams throughout this tournament. Eager also picked gods who we saw a lot of over the past 3 days, like Ymir, Xbalanque, and Bellona. eLevate nabbed Medusa, Thor, and Poseidon, who were pretty standard picks throughout, but also gave some play time to the likes of Hades and Khumbakarna, who we didn’t get to see much of during the other games. At the outset, it looked like Eager was going to win. eLevate took first blood and a slight early lead, but Eager quickly made up the difference by grabbing the Fire Giant and a few key team fight victories. But just as things started to look good for them, eLevate came roaring back and dominated in extended encounters. During one such encounter, Eager lost 3 team members, which gave eLevate the chance they needed to move into Eager territory and bring the Titan down, ending the game at 37 minutes with a massive 31-11 kill lead. Everyone was on the edge of their seats as the teams geared up for Game 4. If eLevate took the victory, they’d be the new MLG champs. 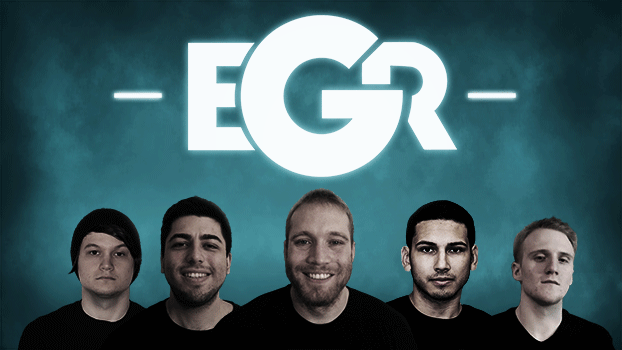 But if Eager could pull through and win, they’d make it to game 5 and get another shot at the grand prize. During picks and bans, eLevate opted to keep their key gods from Game 3 – Hades, Medusa, and Thor. But this time around, they grabbed Ymir from Eager and added Osiris as well. Obviously in need of a different strategy, Eager only kept Xbalanque and Bellona, then replaced the rest of their team with Geb, Nu Wa, and Bastet – who has been a shockingly valuable asset in most of her games. But Eager’s picks just didn’t have the synergy they needed, and couldn’t quite measure up to eLevate’s stronger team. eLevate pushed relentlessly on all fronts, taking the early lead and refusing to give an inch. It was clear that the end was in sight for them, and they weren’t about to let Eager get a chance at Game 5. They wrecked face in team fights. Eager tried to make up for their disadvantage with XP grabs in jungle camps, but it just wasn’t enough. In a round that was shockingly shorter than the many others we saw throughout the tournament, eLevate took a landslide victory, with 23-9 kills in their favor. After starting in Group C and battling through a seriously tough bracket, eLevate came out on top with a $10,000 prize. They’re the first team to ever win a professional SMITE event on Xbox, as the console version of the game just released earlier this year. As an official sponsor of SMITE, all of us here at Gamer Launch are proud of eLevate’s accomplishments. 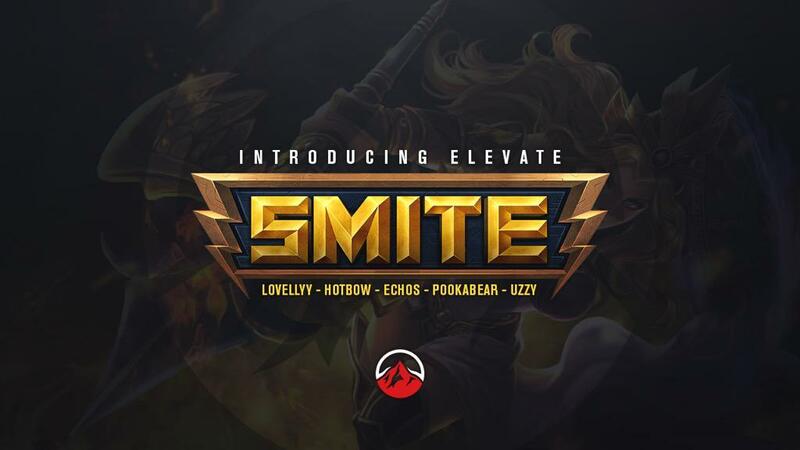 We’ll be seeing eLevate (and perhaps a few other teams from this tournament) at the SMITE World Championship series in January. The road to the World Championships is just beginning, as the NA Pro League is in full swing. Once the season enters its final weeks from October 26th-November 20th, the Pro League Finals for the PC version of the game will kick off on December 4th. We’re looking forward to seeing who comes out on top. But while we wait for the next tournaments to start, don’t miss out on all the action! Head over to Gamer Launch and use our new eSports functionality to fight other gamers head to head on the Battleground of the Gods. Next Next post: Is Your Game Past Its Prime?